Learn English at ACCORD Manchester, a British Council accredited school located in the heart of Manchester, close to all its amenities. 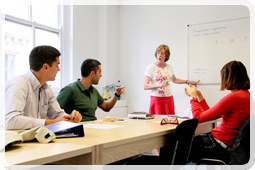 Experienced, fully qualified English teachers. Located in the heart of the vibrant business quarter of Manchester's city centre, a two minute walk from the shopping centre, and all other amenities such as restaurants, cafés, etc. I loved the fact that it was a small school but in a city centre, not as big as London! Everything was professionally organised, the course was varied, the teachers very helpful and I gained a lot of confidence and learnt at all. I’ll be back. I enjoyed my stay at Accord Manchester. The lessons were very well prepared and I improved my speaking which was my goal. 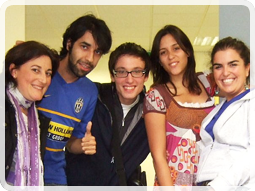 The staff was very friend and they do everything the students want. I wish I could have had a longer programme.